Set sail for a high flying, danger defying and twister chasing adventure! 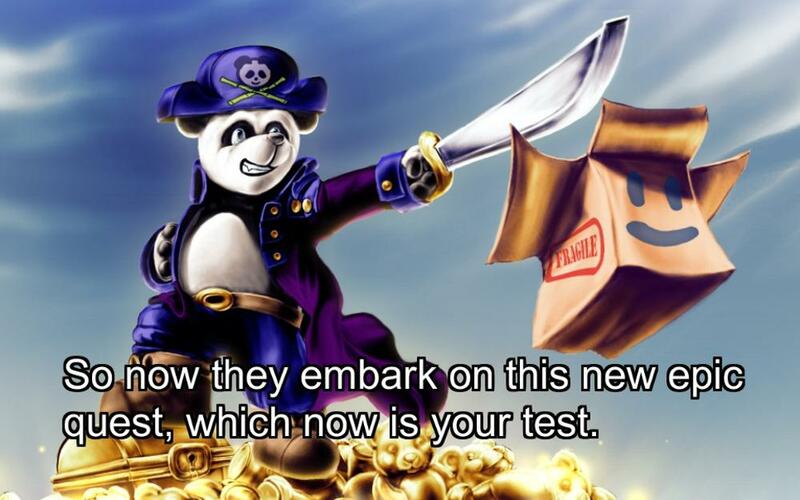 You will play as "Fragile", a box who teams up with the most infamously unknown panda pirate, Captain White, to reclaim his lost teddy bear horde. However, care must be taken so you do not to get crushed as new dangers lurk in precarious places. With the help of outlandish abilities, and controls that are as tight as pants from the 60s, you will jump, dodge, and maneuver your way through over 100 unique action packed levels. Be prepared to encounter epic boss fights and hilarious dialogue that promises hours of entertainment. With a wide range of appeal from kids all the way through adulthood and beyond, "Panda Box" is a treasure trove that delights new and seasoned gamers alike!